In my blog post about Moldova I shared my daughter’s photo of watermelons that had been brined intact, and I promised to write about how to pickle watermelons in this way. Before watermelon season passes again, I want to share my own photos and a recipe. I first tasted brined watermelon some fifteen years ago, when I bought a few slices from Guss’ Pickles, whose retail shop was a sidewalk stand on the Lower East Side of Manhattan. If you liked your pickles crisp, fuggetaboudit! The brined watermelon was soft and slimy. It seemed more tomato than melon. But its sweet and sour brininess grew on me. Much later, I sought advice about pickling watermelons from Gwen Schock Cowherd, a descendant of Germans from Russia—that is, Germans who went to live in Russia after Catherine the Great, in 1763, invited foreigners to immigrate without having to give up their language or religious traditions, pay taxes, or serve in the military. The first of these German immigrants settled along the Volga River, where watermelons were a major crop (later, other Germans settled on the north shore of the Black Sea). A century after their migration began, Germans in Russia lost their special privileges, and whole villages picked themselves up and moved to the Americas—Brazil, Argentina, Canada, and the United States. Today the grandchildren and great-grandchildren of those immigrants still celebrate their Russian-flavored German heritage. I wanted to know how Germans from Russia pickled whole watermelons. Were the melons fermented or pickled in vinegar? Was sugar added, and were spices included? Were holes poked in the melons to let the brine penetrate? Gwen sent me Mrs. Henry Lindemann’s recipe for “sour watermelons,” from the German Russian Pioneer Cookbook, published in Eureka, South Dakota, in 1975 (Germans from Russia and their American descendants have published hundreds of community cookbooks). 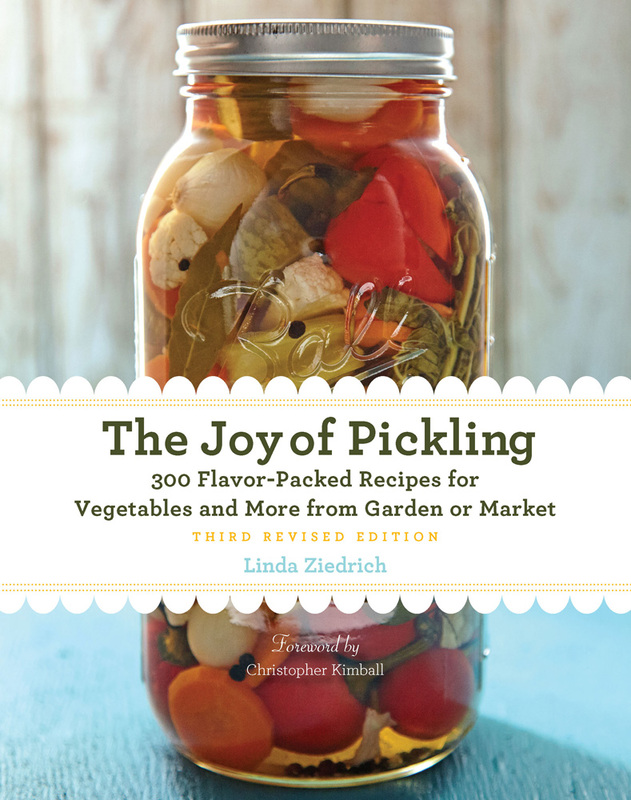 Mrs. Lindeman would line the bottom of a 30-gallon barrel with dill, fill the barrel with melons, top them with more dill, and add 1½ cups sugar, 1 cup vinegar, 6 pounds salt, “lots of red peppers,” and garlic. Then she would fill the barrel with water and weight the melons with a board and a rock. In Sei Unser Gast (“Be Our Guest”), a cookbook published by the North Star Chapter of the American Historical Society of Germans from Russia in Minneapolis in 1996, a writer left the sugar, vinegar, peppers, and garlic out of her watermelon pickle but added grape leaves. According to Küchen Kochen, published by the Lincoln, Nebraska, branch of the same organization in 1973, some cooks scattered cherry rather than grape leaves throughout the barrel, along with hunks of ripe melon flesh.Gwen’s own grandma left out all of those extras but added pickling spices. “I guess you can spice them anyway you want,” Gwen said. As with cucumber pickles, there is no single right way to season a watermelon pickle. Put the melons into a large crock or food-grade plastic pail with the dill, garlic, and peppers. Stir the salt into the water until it dissolves, and pour the brine over the melons. Weight them with a clean rock or a plate or board topped with a water-filled jar. Be sure the watermelons remain well immersed in the brine. Cover the crock with a cloth, and let the crock stand at room temperature. Check the crock daily, and skim off any yeast or mold. Wait at least four weeks before cutting open a watermelon. At this point you might move the crock to a cellar, where the remaining melons should keep all winter. On New Year’s Eve of the same year, I cut open one of the melons. The flesh was glistening, tender, and red throughout. The melon smelled and tasted like a strong fermented cucumber pickle, with extra sweetness and the slimy texture I remembered from the pickled watermelon I’d tasted in New York. I took the melon to a New Year’s Eve party, and people tasted it with interest. For some a little taste was enough, but others ate big slices with gusto. The next time I pickle watermelon, I’ll do a few things differently. Because I had to skim mold off the brine for an extended period, I’ll use a crock with a water lock. I might add a little vinegar to curb mold growth or some cucumber pickle brine to speed the fermentation. And I’ll add a little sugar, just to see what difference it makes. 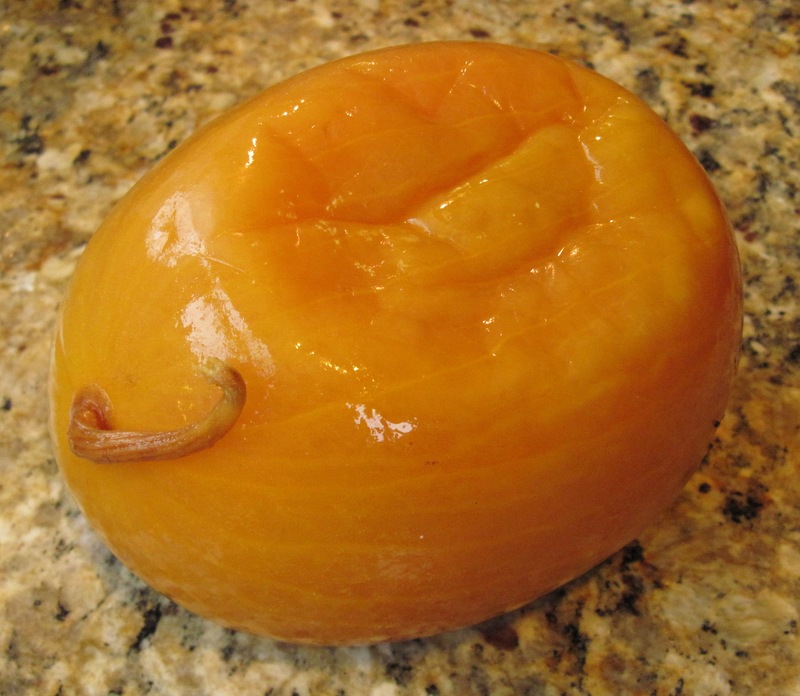 My single complaint about Golden Midget is that its thin rind caved in a bit with brining, so that the pickled melons looked like partially deflated playground balls. But an icebox melon with a thicker rind might collapse this way, too, according to my Moldovan friend Cristina. Still, next year I may try a variety that Germans from Russia might have chosen generations ago, such as Astrakhanski, Melitopolski, or the white-fleshed Cream of Saskatchewan. 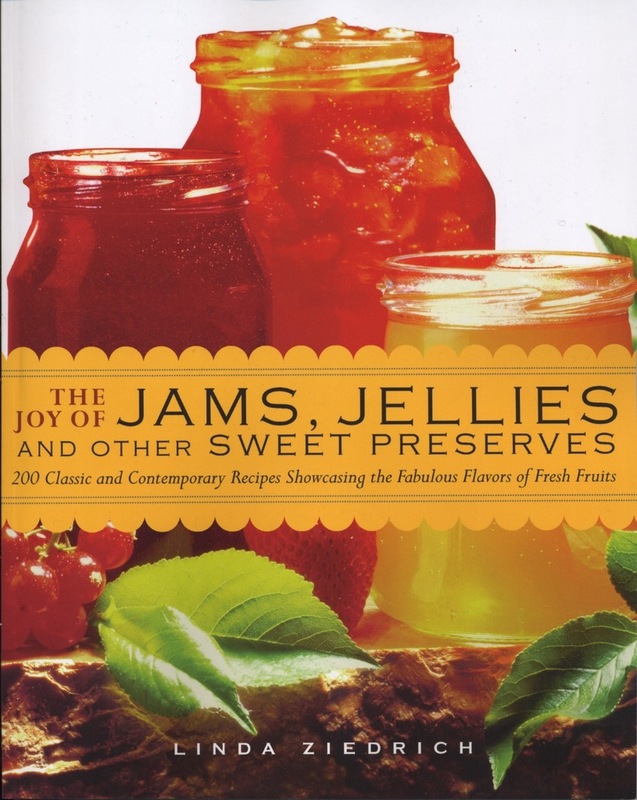 This entry was posted in Fermented foods, Food history, Fruits, Pickles and tagged brined watermelon, fermented watermelon, Germans from Russia, Golden Midget, Guss' Pickles, recipe, sour watermelon, Volga River. Bookmark the permalink. Linda, I’m from the South, and your post caused me to remember a story that an elderly man told me about how his mother kept melons through the winter. He said that she would dip them in paraffin and then store them under the bed. He claimed that they were “almost” as good as when they were in season. I haven’t been able to turn up any information about this method of storage, but wonder if you might have heard anything about it. Denise, I have heard of dipping melons in paraffin, but I haven’t tried it, because it would require an awful lot of paraffin. According to one of the Germans from Russia cookbooks, large melons were kept in granaries, covered with wheat or barley. I haven’t tried that, either. The easiest way to store watermelons might be to grow a variety that will keep well for months with no special treatment. Does anyone reading this know of such a variety, aside from citron melon? So a minor collapse is to be expected. Thanks for that information, Cristina. Cristina, do you know the name of the watermelon variety you use? I often wonder where the idea of pickling watermelon rind came from – perhaps it sprung from this? Pickled watermelon rind is more like a sweet preserve than a fermented pickle. Most likely, pickled watermelon rind started with citron melons, which can be used similarly in their entirety (minus the seeds and thin exterior green rind) or with very thick-rinded watermelon. My Father born Neudrof South Russia (Now Modova Area) 1911 used to make whole watermelon Pickles. I remember they were a whiter color like the Golden Midget. He made them as described Mrs. Henry Lindemann’s recipe for “sour watermelons,” They sure were good. Thanks for that information, Richard. 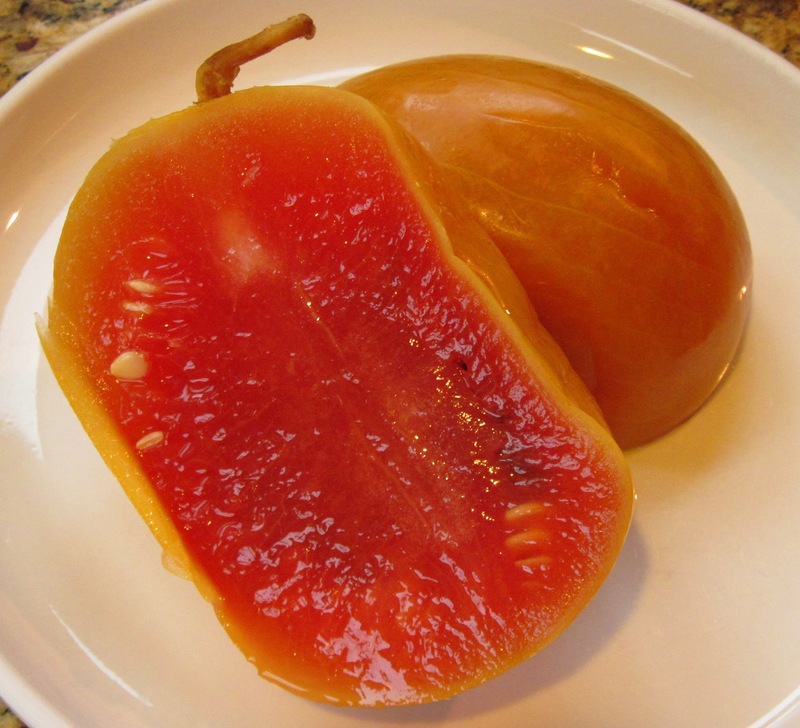 Here’s a link to Mrs. Henry Lindemann’s recipe: http://library.ndsu.edu/grhc/foods/foodways/wassermelone.html. I’m glad to hear it, Sharon! Linda, I’m loving this article. I’m from Moldova, my parents pickled whole watermelons in a big oak barrel every year, they also put in apples with them sometimes. I live in South Dakota now and at the farmers market another day found this cute little watermelons, I’m going to pickle them using your recipie. So exited to try the end result.